Ever wondered: What’s the most important money question? Richards firmly believes the foundation of any financial plan lies in addressing the “Why?” question, even if it makes you (or your clients) squirm — as it no doubt will — or think you mistakenly stepped into a therapy session. Richards compares the discovery process that follows asking “Why?” to a doctor’s visit. Which would make you feel more comfortable: a doctor who began writing a prescription after barely hearing your symptoms? Or the doctor who took the time to really understand what was going on before making a diagnosis and handing over a prescription? Start at the beginning and then use what you’ve learned about your values to come up with a financial plan that is right for you, he says. Here’s a simple process Richards recommends for getting to the bottom of the “Why?” question. Why do I invest so much of my money and time on X? Why do I spend so little on Y when I claim it’s important? 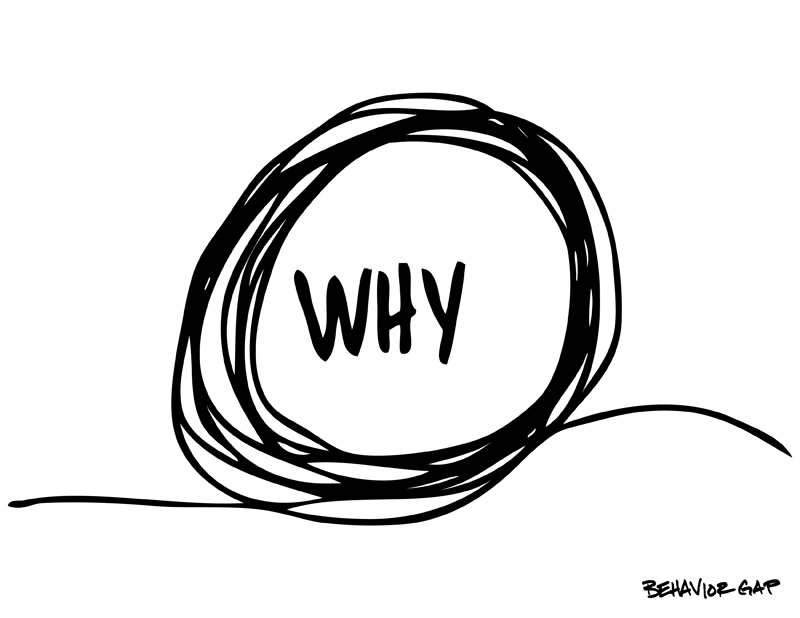 Richards tells readers that getting to the bottom of “Why?” is “potentially scary territory” and that it’s helpful “to set up a few guard rails” to make the process productive. Set aside time. Avoid late nights or the end of a long week. Rather, pick a time when you’ll have more energy. Let go of the past. “If we approach the process with the right frame of mind, reflecting on our mistakes may help us avoid repeating the same mistake in the future. But, at a certain point, you need to make peace with what’s happened in the past and move on,” Richards says. In the opening pages of the book, Richards reminds readers that the best financial plan has nothing to do with what the markets are doing and everything to do with what’s important to you. And he emphasizes that no two plans are the same (that is, it’s not one-size-fits-all) and that coming up with the right plan is a process. Why is it so important to have a financial plan? Step one in creating a financial plan is to “get clear about where you are and where you want to be.” Start by asking yourself: Why is money important to me? Or, if you are a financial adviser, by sitting down with your clients and helping them get to the bottom of why money is important to them. Carl Richards will be participating in a Twitter chat about his new book, The One-Page Financial Plan, on 16 April 2015, from 12–1 pm EDT. To participate, sign in to Twitter and direct your questions and comments to @CFAWealth. Follow the discussion using the hashtag #CFAChat. I look forward to reading Carl’s book. Perhaps Asking Why and taking time to reflect on the deeper messages and underlying values will create meaningful financial plans but also help all of us to make other changes that align with what is truly meaningful.